JM Productions, Inc. is a family entertainment industry specialist. We have been producing family entertainment from our office in Western New York for over 50 years. Producing only high-quality, entertaining events, we are recognized in the entertainment industry as the producer of successful shows in a wide variety of themes and formats from major motion pictures to live television shows. Our schedule usually includes special grandstand events at over 30 county and state fairs in the eastern United States. The experienced JM Productions staff is able to produce separate events at diverse locations on the same day. The premier events of our season include the largest county and state fairs in New England, New York, Ohio and Pennsylvania. In 1963, W. Jay Milligan Sr. was asked to put on a demolition derby at the Erie County Fair in his hometown of Hamburg, NY (which is just south of Buffalo). He was then asked to produce demos at other fairs in the area. The success at these fairs brought about the incorporation of JM Productions. JM Productions, Inc. now produces over 60 motor sport events yearly. 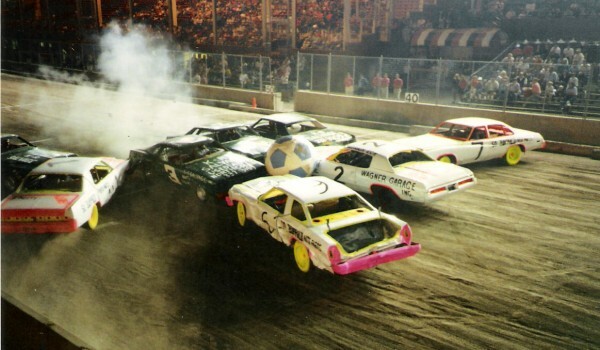 Events include “World’s Largest Demolition Derby®,” “Championship Figure 8 Racing®” and our patented “Stock Car Football®”. We have climbed the ladder to success to become the premier automotive events producer in the northeastern United States at county and state fairs. Jay Senior had a great career in the auto racing business prior to incorporating himself. He owned his own service station, raced stock cars, served in the Korean War, held the Race Director position at Lancaster Speedway, assisted in the production of major league auto racing from NASCAR to Indy by advising the announcers (Bill Flemming, Keith Jackson, Jim McKay and Al Michaels) what was about to happen during races. He was the actual stunt driver for Roger Moore in the scene where the car breaks through the showroom glass window of an American Motors Dealer in Bangkok. JM Motorsport Productions offers the best and most unique events and attractions you’ll find in the business. See below for just a few examples, and check out our contact/pricing page for more information. 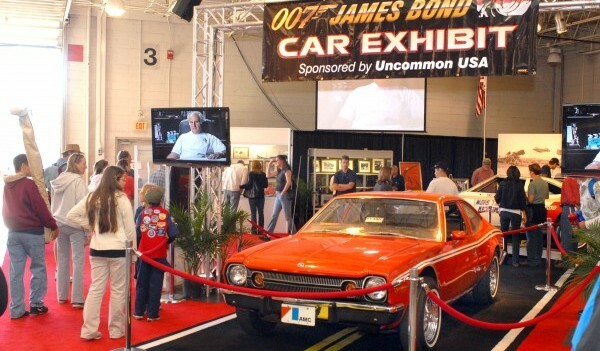 Featured car in the classic James Bond film, “The Man with the Golden Gun”, you can book a “007 James Bond Car Exhibit” at your Fair. 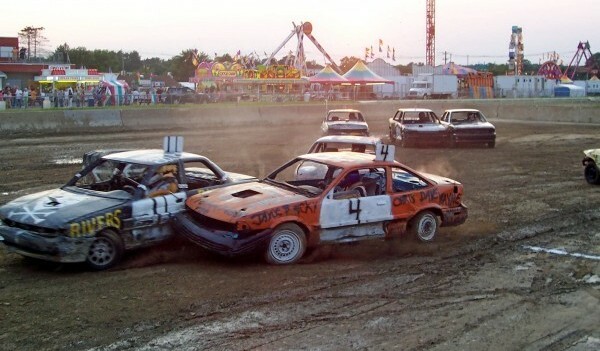 Demolition Derby Soccer was an invention of JM Motorsports in 1987. It features 6-8 teams of cars battling with a 7-foot soccer ball trying to score a goal on the other end of the track. Championship Double Figure 8 Racing was invented by JM Motorsports in 1988. It consists of cars flying around two double intersections in the form a Figure 8, racing to complete 8 laps before their competitors.